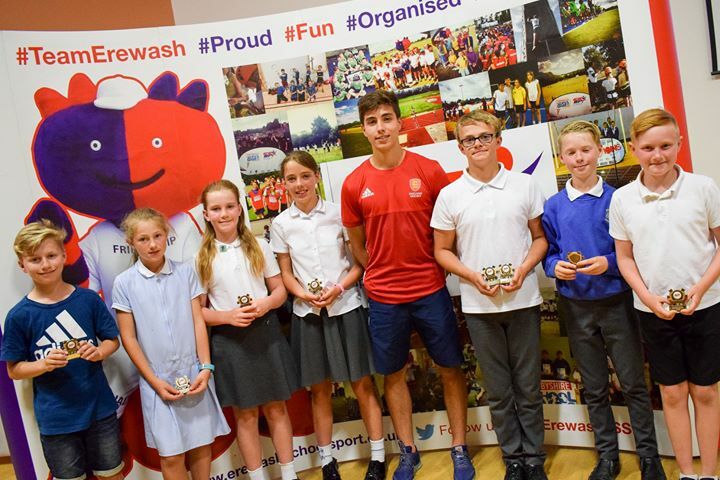 The sporting achievements of Erewash schoolchildren were celebrated at an awards evening held by Erewash School Sport Partnership. The event was hosted by Rhian Lilley, ESSP Strategic Director, and attended by Carol Hart, leader of Erewash Borough Council and Gareth Griffiths, an ex-student of The Long Eaton School who plays hockey for Great Britain. Awards categories included individual achievement, students were nominated for outstanding performance in any sport over the last year for reaching area, county, regional or national representative level. Team achievement awards were handed out to teams which represented their school in an area, county, regional or national competition and performed well. Awards also went to young leaders and ambassadors who were nominated for their work in school sport through encouraging other pupils to enjoy PE and school sport. They may have coached, officiated or volunteered in some other way to support their school. A special sporting endeavour award was handed out to a team or an individual who has shown an outstanding level of dedication and enthusiasm to their PE, school team or chosen sport. Mrs Lilley said the awards, held at Kirk Hallam Community Academy, were a great opportunity to recognise all of the sporting achievements achieved by young people across the borough. She said: “Our aim is to give young people aged from five to 19 the very best sporting opportunities by working with the amazing staff in local schools. We’ve had a huge amount of participation in all of our varied events this year from football festivals to Bikeability training, ball skills festivals to mindfulness workshops.